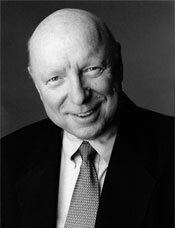 Don S. Davis (IMDB) passed away on Sunday from a “massive” heart-attack. Don was best known for his role as Major General George Hammond on Stargate SG-1, but his career is nothing if not prolific. Lots of info is coming in from various fansites right now and I am shocked that I never saw his art before now. Oh, and he had a PhD in theater. What can ya say? Some people just put in 110% all damn day. Don was a gifted artist and will be missed. July 2, 2008 July 2, 2008 hellfireComments are off for this post.